Dornbrook Construction prides ourselves in the experience and knowledge we’ve gained in the Milwaukee commercial concrete construction industry. We have been a concrete contractor in the Milwaukee area for over 25 years. Our attention to detail, combined with our experience and knowledge delivers a superior product for our commercial customers. We complete construction projects accurately from start to finish, causing minimal disruptiveness to a business’s operation. From epoxy floor coatings and concrete overlays to masonry work, Dornbrook Construction will support your business’s productivity with a variety of building improvements. Whether you need to enlarge an opening to accommodate your forklift or need a new loading dock concrete driveway, our New Berlin concrete contractors have the experience to complete your specific needs. Our skillset entails a comprehensive landscape of commercial construction type services all performed with the highest quality of products. Our commercial concrete replacement services will also increase the value of your property while providing a compelling entranceway for visitors. Learn about our extensive experience with commercial concrete construction for Wisconsin businesses. There’s more to concrete than gray slabs when you contact Dornbrook Concrete Construction. Our decorative concrete installation services provides your Milwaukee area business with the ultimate “wow” factor. 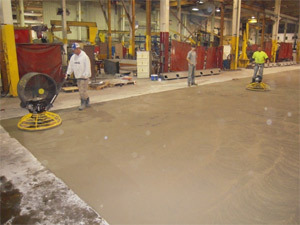 From factory floors to exterior sidewalks and parking lots, we will transform your concrete into something special. We use a variety of techniques, including stamped overlays, to create the right look for your facility. Unique designs let you customize the appearance of your business inside and out. Our contractors have experience with all sorts of creative designs to improve your concrete’s appearance. Not only does decorative concrete flooring look great, it’s durable too. A concrete driveway is the best way to invite potential customers and clients to your business. Our professional installation will leave you with a reliable driveway. We will account for changes in grade to provide a smooth, flat surface. The thickness of the concrete will depend on the type of traffic you expect. Just like driveways, parking lots take a lot of heavy traffic over their lifetime. Fortunately, concrete from Dornbrook will making your lot stronger than ever. 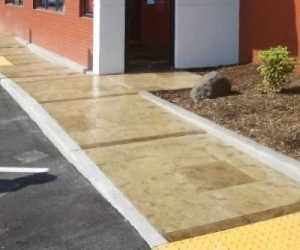 Whether you have a small parking area or a large one, our decorative concrete will give your business a personalized appearance. Concrete sidewalks are an easy and affordable way to add literal curb appeal to your store or restaurant. If your business has outdoor areas, like a patio eating area for a café, decorative concrete will create a polished look for your property. Pathways are also useful for keeping customers off of your landscaping. Decorative concrete flooring and flatwork is suitable for offices or meeting areas. Concrete is not limited to being used outside. 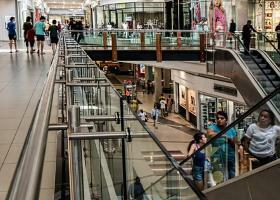 Many commercial properties use concrete floors due to their strength and durability. If you operate heavy equipment, a concrete floor will be able to handle the wear and tear. If you own a large commercial property with several businesses present, having concrete features can connect all the buildings together. 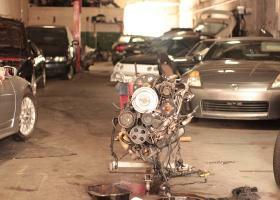 Auto garages deal with a lot of wear and tear with vehicles constantly coming in and out. You need a floor which will withstand everything from cars to heavy duty pickup trucks. Concrete is the answer. At Dornbrook, we have poured concrete and have even included rebar reinforcement for floors which will be dealing with extra heavy equipment or traffic. 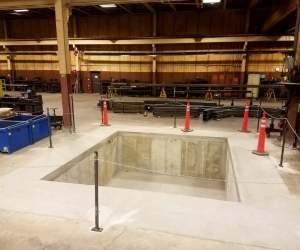 Our expert contractors will determine the necessary thickness of the floor for the strength your facility needs. Restaurants and bars deal with a lot of foot traffic from patrons and wait staff alike. 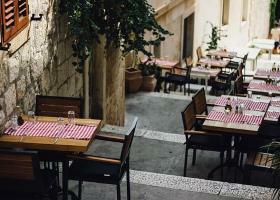 To keep up appearances, reliable concrete flooring is recommended for food service locations. 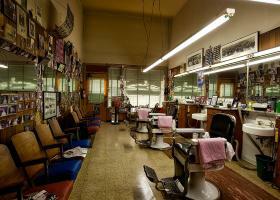 It is easy to maintain and there are many style options available. Decorative concrete from Dornbrook will add a custom touch to your business without compromising strength. Grocery stores and big box stores benefit from concrete flooring which can support heavy equipment without detracting from the appearance of their business. The natural strength and durability of concrete means your floors will last for years, even with heavy foot traffic from customers, employees, and shopping carts. Appearances are important in the realm of hospitality. Concrete makes great looking floors which offer durability and easy cleaning. Concrete floors are appropriate for hotels, spas, and convention centers. Even with a lot of foot traffic, your floor will better be able to withstand whatever you throw at it. First impressions begin in the lobby. Dornbrook uses decorative concrete to improve the appearance of flooring in lobbies across Wisconsin. This concrete is available in various colors and can include custom designs. Wow your guests with a personalized floor! 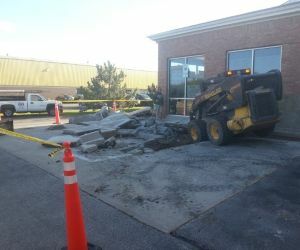 Along with installing new concrete features, Dornbrook Construction contractors handle concrete repairs and replacement. We know how dangerous wide cracks in concrete can be, so we provide efficient replacement to restore the strength of your concrete. Wisconsin concrete has to contend with the freeze-thaw cycle. This is when water continually freezes into ice and then melts again over the course of winter. The expanding ice puts pressure on anything near it, including concrete. With time, the ice can create wide cracks within a concrete slab. Our professional concrete contractors will do everything possible to provide efficient and affordable replacement. Whether the cracked concrete is inside your business or outside the property, we are ready to get your concrete features back into shape. 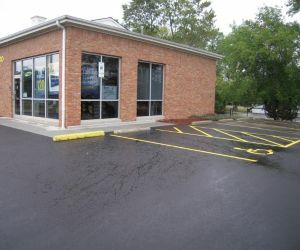 Contact our commercial concrete contractors in Milwaukee for a FREE estimate.